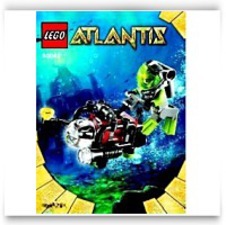 Lego Atlantis Diver set # 30042 ~ Poly Bagged Set. Diver APPROX. 2 INCHES TALL. 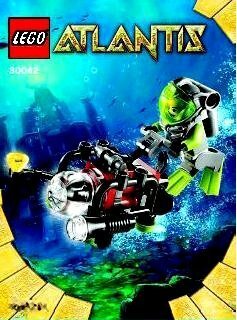 Set comes factory sealed and consists of diver and sub car. Choking Hazard for young young children 3 and under.